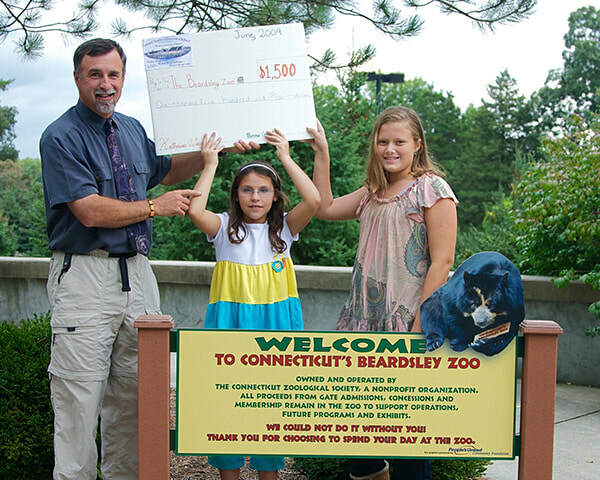 There are several ways you can help Connecticut’s Beardsley Zoo accomplish its mission of conservation, education and family recreation. By supporting the Connecticut Zoological Society (CZS), you help us share the wonders of animals and nature with the more that 250,000 visitors annually both at the Zoo and around the state and region through our outreach efforts. All gifts to the Society are greatly appreciated and go a long way toward saving wildlife and protecting wild places. The Development Department also ensures that all CZS fundraising efforts comply with applicable ethical and non-profit standards. If you would like to help or have questions, please contact our Development Office at 203.394.6573. To make an donation online, use the form below. Interested in Naming Opportunities at the Zoo? Please click here.